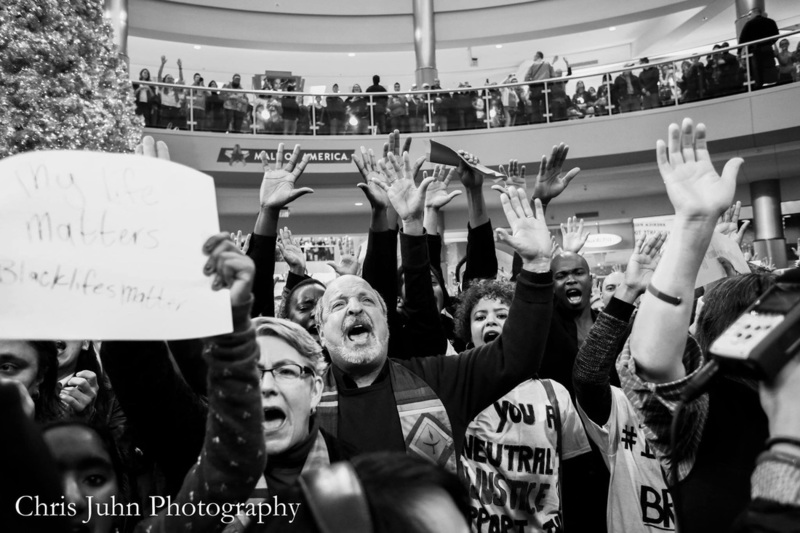 Unity's Racial and Restorative Justice Team advocates for justice and so help heal the world. We acknowledge the importance of every voice to restorative and racial justice, in interracial healing, and in building Beloved Community. Provides lifelong opportunities for spiritual growth, learning, and engagement in racial and restorative healing within the Unity Church community. Seeks to make all feel welcome and connected to the work across all identities. Encourages shared ministry and intentionally widening the circles of power, opportunity, and access within and beyond Unity Church. Commits to antiracism and racial healing in covenant with people and communities of color. Its projects reflect a desire for continuing relationships and mutuality. Advocates in the public arena for liberal religious values in response to prejudice, injustice, and oppression and working with other institutions around shared values. Our Community Partners include Amicus (now part of Volunteers of America) and the Rondo Circle of Peace. We encourage our team members and the congregation to be actively involved in supporting their efforts. The team also promotes congregational involvement in neighborhood events and projects such as Rondo Days, the Selby Jazz Festival, National Night Out, the St. Paul Martin Luther King Breakfast, Obama Elementary School and the Children’s Defense Fund Summer Freedom School. Amicus/VOA offers many activities supporting those who are or who have been incarcerated. We support Amicus through individual participation as One-to-One friends with prison inmates, as Pen Friends with people in prison, by volunteering in the Amicus office, and promoting its Winter Warm Up drive. The Circle of Peace Movement is committed to ending the cycle of youth violence in our neighborhood and promoting racial healing in our local communities. We assist with providing meals for Circle of Peace. Tutors are always welcomed by Michelle and Barack Obama Elementary School located directly across Holly Street from Unity Church. Tutors are trained through the Minnesota Reading Corps. The Children’s Defense Fund’s St. Paul Freedom School utilized Unity volunteers for the past two summers. There are a variety of ways to be involved. The team promotes an acceptance of cultural differences and the view that ours is just one among many equal worldviews. Through our work with Amicus and the Circle of Peace and through our reading and sponsorship of the 2013 congregational read of The New Jim Crow; Mass Incarceration in the Age of Colorblindness by Michelle Alexander, we have come to believe that racial injustice is at the heart of the overwhelming numbers of persons of color who are incarcerated. As a follow-up to the read, the team explored incarceration through a series of Wellspring Wednesday programs focusing on crime (and thus incarceration) prevention, the realities of incarceration, and the obstacles to successful reentry to society. Neighborhood people are invited to these programs, which may provide seeds for deeper connection and combined community action. The team commits to attending community events and invites other friends and members of Unity Church to attend them through advertising events and personal invitation. Several members of the team took part in the cross-congregational Beloved Conversations of 2013 and are continuing in the relationships begun in that work. Our partnership with Amicus/VOA and participation in activities of the Second Chance Coalition provide many opportunities to address prevention, incarceration, and reentry. The Second Chance Day on the Hill is an annual event that is promoted within the team and the congregation. The team also engages in issues regarding voter registration and remains informed and active as needed. 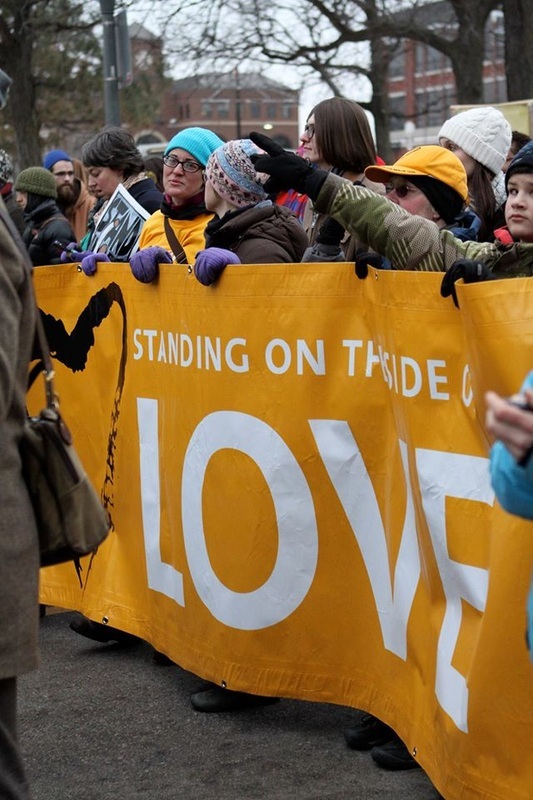 Team members join with other congregants and metro UU churches to Stand on the Side of Love and participate in activities promoting racial issues, such as #blacklivesmatter protests and the Change the Redskins Nickname Rally. How Does the Team Work? The team meets monthly on the third Thursday evening and shares a meal as well as use the Peace Circle process (passing a talking piece, all in circle are equal, respectful listeners who speak from the heart) to create a safe, supportive place to talk about the difficult issues of racism. During meetings, team members plan activities around volunteer opportunities. Individual members contribute time and energy in areas of interest to them. Meeting leadership and meeting tasks are shared on a rotating basis. The team’s work is celebrated, and members sometimes attend cultural and educational outings together. 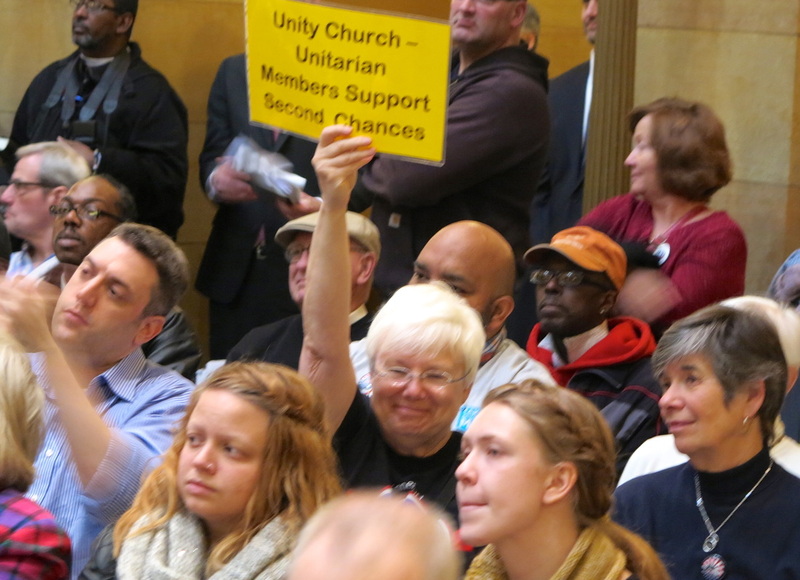 To learn more about the Racial and Restorative Justice Outreach Ministry Team, contact Lisa Friedman, Minister of Congregational and Community Engagement, lisa@unityunitarian.org or 651-228-1456 x107.